The much anticipated E.L James Book [Fifty Shades of Grey: Book One of the Fifty Shades Trilogy ] turned movie is finally here and I have to admit I am a wee bit excited. The main reason for my excitement is not because I have read the book and can’t wait to see all the steamy love scenes acted out, the main reason is because I actually haven’t read the book but heard so much about it that I can’t wait to see all the action. I have tried, and tried to make time to read but just never got it done. So now I can see the visuals and that to me is very awesome. I saw the trailer and *coughs* things are looking good. Got me fanning myself like, please Mr Grey, do that to me. haha. ok I keed!. You can watch the trailer as you continue..In just 1 day, the trailer has recorded over 7 Million Youtube views.. Amazeballs!. and many more supporting casts. The movie was directed by Sam Taylor- Johnson and screen play done by Kelly Marcel. I think I may just catch up on the book before then. 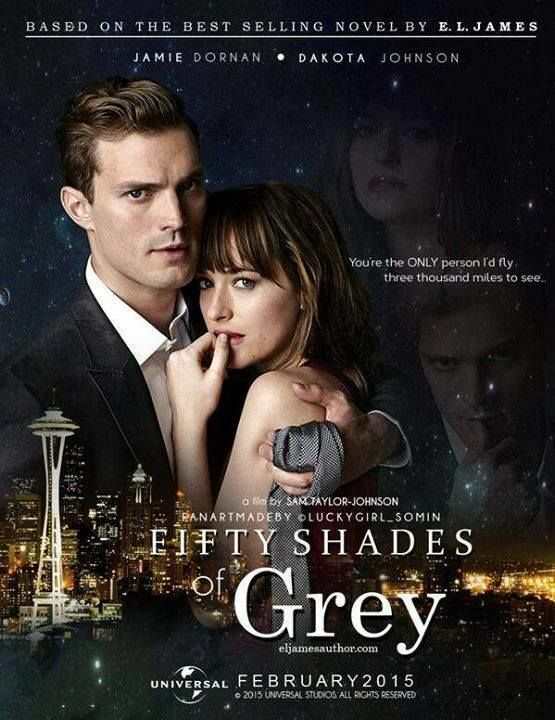 So will you be watching 50 Shades of Grey when it finally hits the theaters? I know I will. Prev Love and Hip Hop Atlanta’s Stevie J is Messy for Posting Althea’s Nudes – UGH! It does look like its going to be a hot movie! I won’t be seeing it, movies like this isn’t for me. What is it about this movie that has everyone all hyped up? I think the trailer is weak. I’ll wait for digital download on this one.